The MVL/NUC track team is open to and welcomes students in grades 9(7)-12. As we work with the athletes, we encourage them to use their gifts to the best of their abilities and to the glory of the Lord. We expect them to display good sportsmanship and to encourage one another both in practice and in meets. We are encouraged as we see the athletes working together to develop athletic skills, and as we see them grow in friendship. Once the regular season is completed, we participate in the MSHSL individual events post-season competition where the Lord continues to bless us with many athletes qualifying for the section meet. In fact, for the last 10 years, we also have had numerous individuals who have qualified for the state meet. We are thankful that all of the athletes are using their talents to the best of their ability and to the glory of God. Check back here for the latest information and updates. Click the link under “Schedules” to be taken to the Tomahawk Conference site where you can find the scrimmage and meet schedule (You can create an account on the conference site so you can be notified if we have a weather-related change to the meet schedule). I will try to update the section below with the practice schedule and other important announcements. Check there often! In case of cancellation of practice due to weather or lack of available practice space, I will notify the AD’s as soon as a decision is made. They will see to it that an announcement is made. In case of snow days, if MVL does not have school, there is no track practice or meet. I pray that everyone is having a most blessed Easter as we celebrate the resurrection of our Savior. Because He lives, we look forward to an eternity with Him in heaven! Rejoice! Last Monday turned out to be a wonderful day for a track meet as the temperature was about perfect and there was very little wind. With those surroundings, our track team was ready to compete, and they did an awesome job! Many athletes set PR’s, and others came very close to PR’s. The teams came ready for action, and both teams were the winners of the five team meet. While work remains, this was a very good meet for our teams. Congratulations! This week, we will be participating in meets on Tuesday and Friday. Since they are more restricted in the number of athletes we can enter in each event, not everyone will be participating in both of the meets. 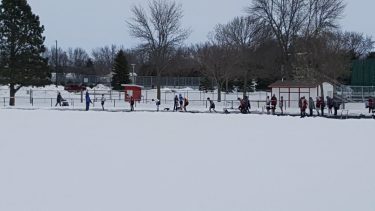 The line-ups were posted for student input at practice on Thursday, a few changes were made, and the athletes should know which of the meets they are participating in. 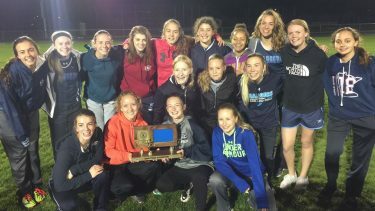 If they are not scheduled for a meet, they will have the night off (unless the pole vaulters practice with Coach Fliszar on Friday). I will post a link to the line-ups below so that our parents will also to be able to find out this information. This week, we also are scheduled to have pictures taken on Thursday. Don’t forget to bring your uniforms for picture day on Thursday! Looking ahead to Tuesday, April 30, we have another meet in New Ulm. While I haven’t received the information on that meet yet, in the past there have been no entry limits. If that is still the case, everyone should be ready to compete at that meet. Let me know what events you would like to do if they continue to allow open entries! Friday, April 26 – Meet at Arlington (Sibley East) at 4:00 PM. Bus leaves MVL at 2:20 PM. Tuesday, April 30 – Meet at New Ulm at 4:00 PM. Route bus transportation to the meet only. Results will be posted here!